Elaine F. Reed is an immunogenetisist and immunologist who joined the UCLA faculty in 1999 as Professor of Pathology. 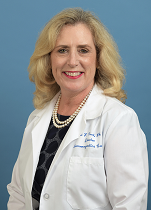 Dr. Reed directs the UCLA Immunogenetics Center, Department of Pathology, and provides clinical and academic leadership of the diagnostic, training, and research activities of the Immunogenetics Program. Dr. Reed earned her M.S. and Ph.D. in Immunology at Columbia University, New York. She was a post-doctoral researcher in the Division of Immunogenetics, Department of Pathology at Columbia University and trained in the field of Immunogenetics and Histocompatibility Testing. Dr. Reed was appointed as an Instructor in the Department of Pathology, Columbia University in 1987. In 1988 she was promoted to Assistant Professor and became Associate Professor in 1994. In 1994, she became a board certified Laboratory Director in Immunogenetics by the American Board of Histocompatibility and Immunogenetics. From 1986-1999, Dr. Reed served as the Associate Director of the Immunogenetics Laboratory at Columbia Presbyterian Medical Center, New York. Since joining the UCLA faculty she has been actively been involved in graduate and medical education. A major focus of her work is the establishment of a translational research program for the development of biomarkers for diagnosis and prevention of transplant rejection. She applies information obtained in basic research to the generation of new immunological tests that will be used in the clinical practice of transplantation. Qiuheng Zhang, Leonard W. Liang, David W. Gjertson, Charles Lassman, Alan H. Wilkinson, Elizabeth Kendrick, Thu-Phoung Pham, Gabriel M. Danovitch, H. Albin Gritsch, Elaine F. Reed Development of Post Transplant Anti-Donor HLA Antibodies Is Associated With Acute Humoral Rejection and Early Graft Dysfunction. Transplantation. 2005; 79(5): 1-8. Vincent R. Bonagura, Andrea Vambutas, James A. DeVoti, David W. Rosenthal, Bettie M. Steinberg, David W. Gjertson and Elaine F. Reed HLA alleles, IFN-g responses to HPV-11 E6 and disease severity in patients with recurrent respiratory papillomatosis. Human Immunology. 2004; 65(8): 773-82. Ralph D. Levinson, Robert F. See, Raja Rajalingam, Elaine F. Reed, Min S. Park, Narsing A. Rao, Gary N. Holland HLA-DRB1 and -DQB1 Alleles in Mestizo Patients with Vogt-Koyanagi-Harada's Disease in Southern California". Human Immunology. 2004; 65(12): 1477-82. Levinson RD, Rajalingam R, Park MS, Reed EF, Gjertson DW, Kappel See RF, Rao NA, Holland GN Human Leukocyte antigen A29 subtypes associated with birdshot retinochoroidopathy. Am J Ophthalmol. 2004; 138(4): 631-4. Jatinderpal K. Kalsi, Jennifer Grossman, Jennifer. Kim, Peter Sieling, David A. Isenberg, Elaine F. Reed, Fanny M. Ebling, Mariane Linker-Israeli, Bevra H. Hahn Peptides from antibodies to DNA elicit cytokine release from peripheral blood mononuclear cells of patients with systematic lupus erythematosus: relation of cytokine pattern to disease duration. Lupus. 2004; 13(7): 490-500. Eric Lepin and Elaine F. Reed Complement-independent alloantibody function in arteriosclerosis and accommodation. Current Opinion in Organ Transplantation. 2004; 9(1): 10-15. Bonagura, VR Vambutas, A DeVoti, JA Rosenthal, DW Steinberg, BM Abramson, AL Shikowitz, MJ Gjertson, DW Reed, EF HLA alleles, IFN-gamma responses to HPV-11 E6, and disease severity in patients with recurrent respiratory papillomatosis.. Human immunology. . 2004; 65(8): 773-82. Lepin, EJ, Jin YP, Barswe SP, Rozengurt E, Reed, EF HLA class I signal transduction is dependent on Rho GTPase and ROK. Biochem Biophys Res Commun. . 2004; 323(1): 213-217. Levinson RD, Rajalingam R, Park MS, Reed EF, Gjertson Dw, Kappel PJ, See RF, Rao NA, Holland GN. Human leukocyte antigen A29 subtypes associated with birdshot retinochoroidopathy. Am J Ophthalmol. 2004; 138(4): 631-4. Vambutas A, Bonagura VR, Reed EF, Ambramson AL, Mullooly V, DeVoti J, Gjertson D, Steinberg BM Polymorphism of Transporter Associated with Antigen Presentation 1 as a Potential Determinant for Severity of Disease in Recurrent Respiratory Papillomatosis. Journal of Infectious Diseases. 2004; 189(5): 871-9. Ralph D. Levinson, Min S. Park, Sarah M. Rikkers, Elaine F. Reed, Justine R. Smith, Tammy M. Martin, James T. Rosenbaum, C. Stephen Foster, Mark D. Sherman, and Gary N. Holland Strong Associations between Specific HLA-DQ and HLA-DR Alleles and the Tubulointerstitial Nephritis and Uveitis Syndrome. Investigative Ophthalmology & Visual Science. 2003; 44(2): 653-657. Reed, EF Signal transduction via MHC class I molecules in endothelial and smooth muscle cells.. Critical reviews in immunology. . 2003; 23(1-2): 109-28.